Got some good suggestions when I mentioned I'd probably be cutting back to twice a week with my blog posts. 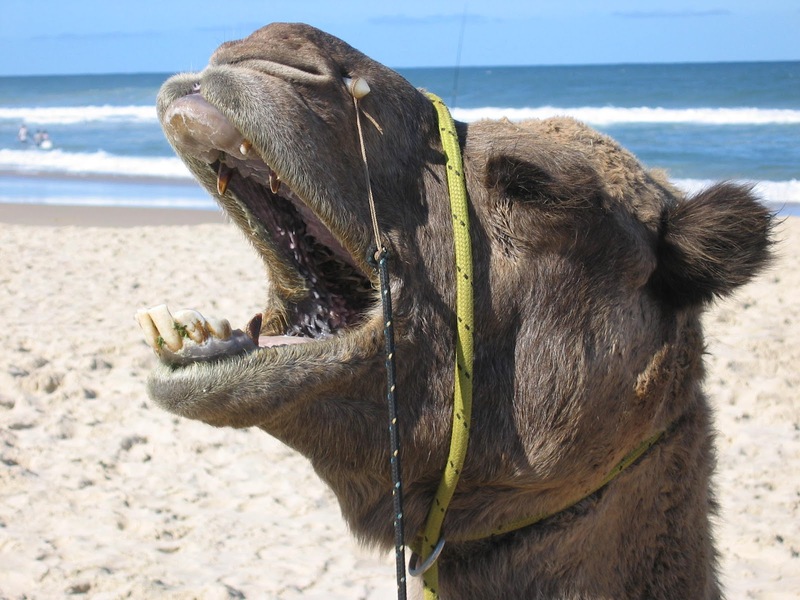 Still haven't decided exactly which days yet, but in the meantime here's another Hump Day camel for you. What's this guy shouting about? Why, he's telling you go check out Deb Molly's post over at The Debutante Ball! Remember, every day this week you leave a comment over there (even if it's just "Hi!") is another entry to win a signed ARC of In a Fix. For FREE. As in, you don't have to shell out your hard-earned money for it. With regard to quantum theory, do you lean toward strings or particles? Ice cream: bowl or cone? Bowl! Cones are too messy, and I hate being sticky. Camel Caption: Hurry! The Tiki Hut's open! I think Antony Garrett Lisi's theory is promising, though still in its early stages: http://en.wikipedia.org/wiki/E8_Theory. Its elegant simplicity appeals to me. We were definitely separated at birth. Particles. I like that word better :) and whatever you do you MUST keep posting on Wednesdays. I need my weekly camel!!!! i have no opinion on quantum theory. i have an opinion on ice cream -- bowl! Particles. I mean, if ya think about it, aren't STRINGS made out of particles, too? As to the dish or cone question... YES! I'll have both, thank you. Too tired to think about quantum anything today. But I'm all about ice cream on a cone. I'm with Susan - strings are made of particles. Although I love the notion that this planet, at least, is the result of a spray from a silly sting can. Dove bars. Definitely Dove bars.